New Delhi, November 14th, 2017:ROHM, a Japanese semiconductor manufacturer plans to foray into the Indian market with it’s low power and energy efficient power supplies to meet the growing demand for Electric Vehicles and other Hybrid-Electric-Vehicles (also called xEV). ROHM is a major supplier of auto-electronic components providing energy efficient power solutions for xEV. The drive towards eco-friendly mobility across the world, means that Electric Vehicle is a key focus area for the company. 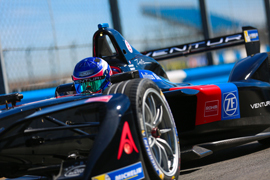 Starting 2016, ROHM has started to extend support for Formula E, as an official technology partner to the Venturi Formula E team, that attracts motor sports fans from around the world. Also, ROHM is a key player in the Consumer electronics, with an array of power devices for Set Top Boxes, Smart phones, home infotainment to name a few. Smart infrastructure along with efficient power is a key focus area in IoT. In India, ROHM focus on Automotive and Industrial equipment. “In 2006, ROHM ventured into India with a representative office, followed it up by establishing a fully owned subsidiary in 2011. In 2014, an R&D center was established in Bengaluru to technical support Indian customers. Combined with the years of experience from the global markets, and a strong local sales and support organization, we are all set to play a vital role in the Indian Electric Vehicle revolution.” Said Mr Nakamura, Managing Director, ROHM Semiconductor India. “Advanced Driver Assistance System (ADAS) is working towards reducing the accidents due to human errors. Indian Automotive consumers will be benefitted from adopting some, if not all of the ADAS systems, like pedestrian avoidance, obstruction detection, automatic parking, etc. Besides, the number of electric motors in an automotive is steadily increasing, along with the electronics needed for the control. ROHM is working with some of the key enablers of some of these technologies to supply highly efficient semiconductor devices.” Said Mr Britto Edward, Head, Design Center, India. 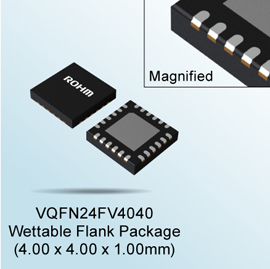 ROHM today announced the availability of new power supply IC based on Nano Pulse Control Technology for the Indian market a 2MHz switching regulator with built-in MOSFET that achieves the highest step-down ratio in the industry. This is required for 48V automotive systems such as mild hybrid vehicles. 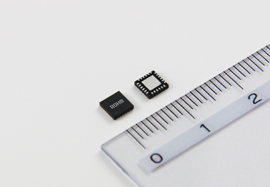 The latest switching regulator (BD9V100MUF-C) from ROHM, utilizes proprietary technology to reduce the minimum ON time to an unprecedented 9ns which is 10x shorter than the existing technology, thus enabling step-down operation from high input voltages like 60V to around 2.5V, at a constant frequency of 2MHz. It is very much useful in the new Automotive, Industrial & Solar energy segments. In addition, current-mode control provides easy phase compensation and use fewer external parts, while the integrated high-voltage MOSFET expands the input voltage range to 65V enabling wide adoption. In recent years, mild hybrid vehicles with 48V systems provide better cost performance over full hybrid cars improving fuel efficiency over conventional 12V power supply systems. The automotive sector is experiencing strict emission norms, combined with the environmental awareness is very much focused on saving every single drop of energy. The Industry always wanted a switching regulator operating at 2MHz operation for Automotive systems. Besides, there has not been a power supply IC capable of stepping down 48V to the 3.3V or 5V needed for low power devices inside the ECU, and typically such a regulator always used 2-stage step down, which this product will enable in a single stage, improving efficiency to a large extent. Nano Pulse Control refers to the ultra-fast switching technology that can achieve very high step down ratio. It is a combination of analog circuit design, layout, besides other processes. It utilizes ROHM’s vertically integrated production system to the maximum. This technology contributes towards greater miniaturization in 48V applications ranging from mild hybrid vehicles and industrial robots to base station power supplies.